What is the Works Council? In the Netherlands all organizations with more than 50 employees are obliged by law to have a Works Council (Ondernemingsraad). A Works Council is a representative body of an organization’s employees and is involved in the board’s decision making process. For example, at the VU University Amsterdam, the Works Council is a committee of 23 employees of the VU and is a representative organ within the university. The board of directors (College van Bestuur) is legally required to obtain advice from the Works Council when taking important financial, economical or organizational decisions. Negative advice leads to delay in plans and requires extra justification from the board of directions for their plans and actions. Sometimes direct permission (instemmingsrecht) is required from the Works Council, for example when decisions are made about terms of employment. A recent example where the Works Councils of both UvA and VU have played a role, was the Amsterdam Faculty of Science fusion, where a negative vote from the UvA student body derailed the plans. All individuals that are employed by the organization are allowed to vote in the Works Council elections. Since in the Netherlands most PhD-candidates are employees of the university they also have the right to vote for their representatives in the Works Council. Many PhD’s will wonder however why they should even bother to vote. Because it gives you a say in very important matters. When “big” decisions are made, it’s good to make sure you have someone representing your specific needs. The concerns and needs of an administrative employee at the Law Faculty will be different than those of a PhD-candidate at the Faculty of Social Sciences. This month the VU’s Works Council will vote about the new Doctorate Regulations (Promotiereglement). This is the document that registers things like your teaching obligations or courses which you yourself may be obliged to follow. New regulations can have a huge impact on PhD-candidates, and therefore it is important to take a minute and think about who is representing you in the Works Council. Vu- PhD’s  How to vote? If you have questions about the VU’s Works Council and the elections, don’t hesitate to contact me @TamaraBouwman. 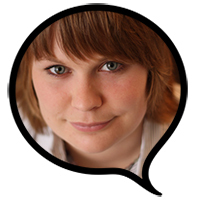 Tamara Bouwman MSc is a PhD Candidate at the Department of Sociology. Her research project is about developing and testing a multifaceted, web-based, friendship program for adults aged 50 years. Since Tamara started at the VU in 2005 as a Bachelor student she has seen many changes within the VU over the years. Now she hopes to join the works council on behalf of ProVU to be able not only to observe changes within the VU, but also to think along and influence these changes.